Photo (C) The Advocate. JYL (pink) catching narrow-mouth frog (Gastrophryne carolinensis) tadpoles with citizens as part of the New Orleans City Park Bioblitz in July 2017. 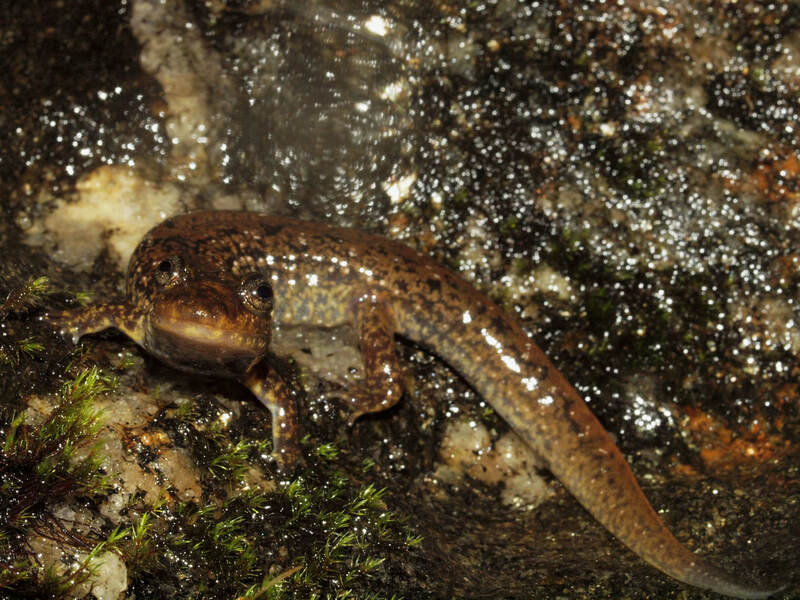 One of my focal study taxa, the spotted dusky salamander (Desmognathus conanti). My name is Jennifer (Jen) Lamb (@jenylamb on Twitter). I am a scientist who studies the ecology, conservation, and population genetics of amphibians in North America. The questions I pursue often focus on understudied species and regions, like the Gulf Coastal Plain, and the data I collect have practical implications for management. I am passionate about teaching and strive to connect my community to the science that I love. BIG NEWS!...eagles to lions to huskies, oh my! I recently accepted an Assistant Professor position in the Department of Biology at St. Cloud State University, St. Cloud, Minnesota! I am incredibly excited to begin a research group that marries ecology and genetics (with an emphasis on amphibians and reptiles), and to keep teaching awesome courses (#HerpFall2018 ). Our trek north begins this summer (Summer 2018). Stay tuned for changes with respect to this site, and thanks for bearing with us as we expand! My parents are teachers at American international schools and I grew up overseas (born in Kuwait, graduated high school in Bolivia). I have been fortunate to experience a myriad of environments (jungles to deserts) and cultures. I became interested in ecology and herpetology (the study of reptiles and amphibians) through my course work and time as a field technician at the University of Southern Mississippi (B.S. in environmental biology, May 2010). I was excited to continue with this institution for my Ph.D. research, which was facilitated by external grants, a National Science Foundation (NSF) Graduate Research Fellowship, a NSF GK-12 fellowship, and teaching assistantships. 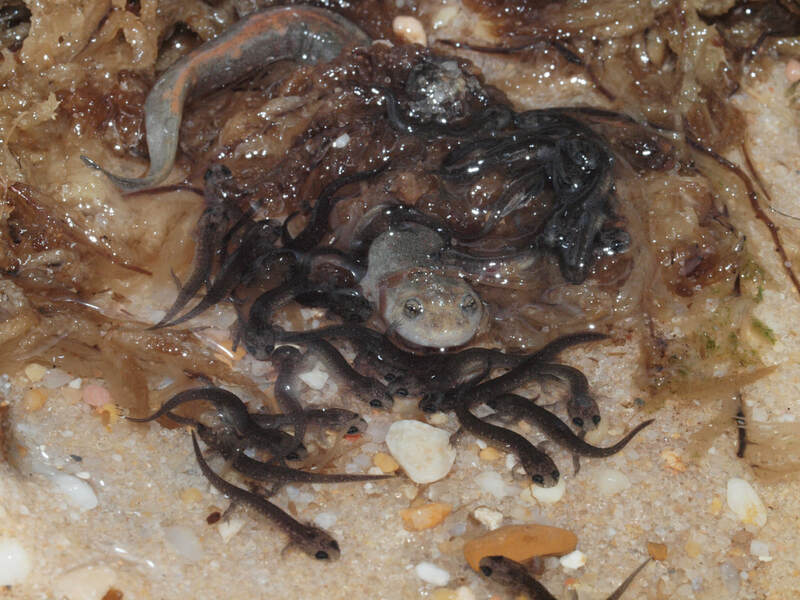 My interest in genetics was sparked by two realizations: 1) that successful conservation strategies would require a multifaceted approach incorporating both ecology and genetics, and 2) that there was dearth of information for many species in the SE U.S. (and particularly for salamanders in the Gulf Coastal Plain). I completed my Ph.D. in in May 2016 and then worked as a postdoctoral researcher, funded by a co-operative agreement between USM & the USGS, from June 2016 - June 2017. My year as a postdoc was followed by an instructor position at Southeastern Louisiana University, where I taught herpetology (along with other courses) and worked on some neat projects with various students. For more details, check out my Research and Teaching & Outreach pages. Note: Feel free to use these photographs, provided that you cite the photographer (myself, unless otherwise noted). A blackbelly dusky salamander (Desmognathus quadramaculatus) from Highlands, North Carolina. 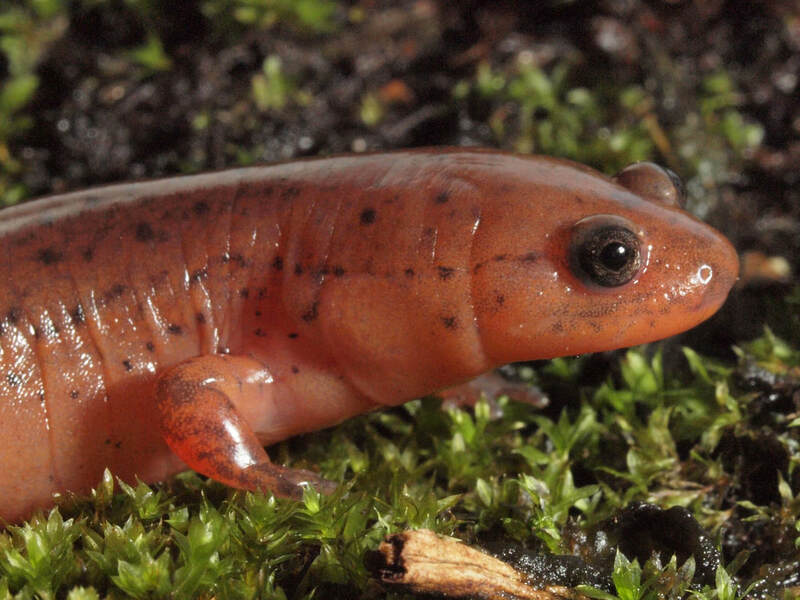 An eastern mud salamander (Pseudotriton montanus flavissimus). This species is tracked by the Mississippi Natural Heritage Program and can be elusive. 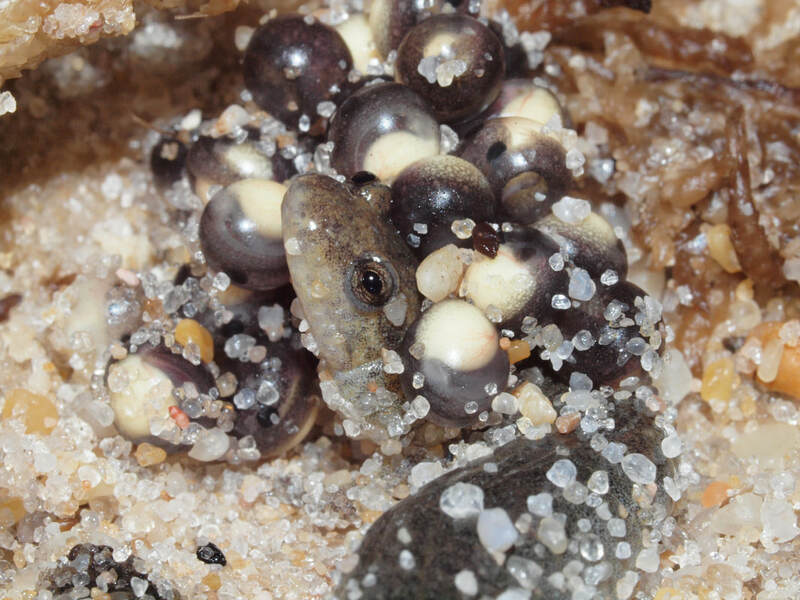 A female Valentine's southern dusky (Desmognathus valentinei) with her clutch of eggs. These individuals were part of a sexual isolation study during my PhD. The same D. valentinei a short while later, surrounded by her hatchlings.